The Latvia online sports betting market is going through some radical changes in 2014, as the government aims to gain control the market. Latvia is part of the Baltic region in North Europe and shares its borders with Russia and Estonia. After the dissolution of the Soviet Union, Latvia’s independence was restored on 21st August 1991. It is now a member of the European Union and replaced its national currency with the Euro in 2014. In this guide to online sports betting in Latvia first up you can find out about the development sports betting laws in the country before looking at the status of the online market. Next taxation is covered followed by how the international sites accommodate Latvian players. To finish up there are thoughts regarding the future of sports betting in this country. Despite being under Soviet control for much of the twentieth century, Latvia enjoyed a brief spell of betting on horse racing in the capital Riga during the 1950s. Unfortunately the Hippodrome where the races were held and which also hosted track and field, football and motor racing events, was closed after a series of fires in 1965. The closure of the site signalled a ban on sports betting in country until the 1990s. After independence sports betting began to grow quietly despite no regulations in place. The first laws to manage the country’s gambling were passed in 1994 and came in two parts titled ‘On Lotteries and Gambling’ and ‘On Lotteries and Gambling Tax and Duty’ . As casino and slots gambling grew as a result of this legislation, the less popular sports betting industry suffered and almost ceased to exist. This began to change in the late 90s when economic growth resulted in more people having larger disposable incomes. As a result casinos and slots popularity continued to increase and this drew attention to other forms of gambling. Sports betting suddenly found greater interest and betting facilities began to open up across Latvia. The largest providers of sports betting venues were Optibet and Latbet, and in 1998 their parent company, SIA Teletoto was given sole rights for sports betting and later online gaming, which they still hold today. SIA Teletoto now forms part of Nordic Bet AB . 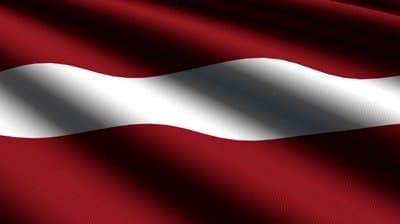 Since 2003 online gambling in Latvia has been regulated and legal. The first licensed online sportsbook in Latvia was Optibet, which opened in 2008 . This left sports bettors to using sites regulated outside of the country, including big industry names like William Hill and Unibet. Further laws covering all internet gambling activities were introduced in 2006 and modified again in 2011 . These included raising the minimum age to 21 and threatening to block offshore operators and introduce penalties for those using their sites. The new laws also laid out a new set of licensing charges expected from companies seeking licenses. These laws were introduced in 2013, and while Olybet was added as a licensed operator, no action was immediately taken against international operators. 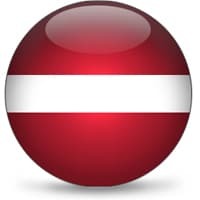 This changed in January 2014 when the Latvia Lotteries and Gambling Supervision Inspection published a black list of gambling websites it wanted ISPs to block. The original listed was enforced on 1st August 2014 and had 20 names on it, covering all gambling activities and some prominent sports betting names like Betway, 888.com and Bwin . This was followed later in the month with 22 other names including Skybet. This was accompanied by laws making it illegal to process payments to these blacklisted operators. There is currently no tax payable by Latvian players. Licensed companies previously have had to pay 10% on gambling revenue. This was reduced by the 2011 legislation to 5%, although other charges for the licensing process are included. With no structure or legal footing to tax winnings won on foreign sites, all winnings on there are free of tax too. Many sportsbooks have served Latvian customers up until August 2014 and there are a good number which provide Latvian translations even now, although you will find customer support in Latvian slightly more limited. As Latvia now accepts Euro you should in theory be able to use credit cards like MasterCard or Visa, or e-wallets like NETeller and Skrill. It is uncertain at the moment how effective the restriction on transactions to the international sites is going to be, and will they just apply to the blacklisted sites, therefore you may find better success with a prepaid credit card or voucher payments. The two locally licensed sites, Olybet and Optibet are both created for Latvian customers so have their site and support in the domestic language. Payment to these should not be a problem and bank transfers can be used in addition to credit and debit cards. As this article is being written in August 2014 it is yet too early to identify how the legislation is going to affect the market now the blacklists have been issued. It may lead to sites seeking to fall in line with regulation, or create a large black or grey market operating alongside only a few legal sites. Either way, the true effects will not be seen until the enforced system is tested by either the EU or operators. While ISP and transaction blocking do seem like effective tools they have not seen much success in other European countries. This has been due to a lack of enforcement by the government and a clash with EU laws, where ISPs and banks have been under the belief they are operating correctly by providing services to betting sites. If they are upheld it is also relatively straightforward for a citizen to find ways to get around these blocks if they wish to.